Venues and details the same for each workshop as detailed below, however Saturday workshops are £60, Sundays are £50, spectators £40 on either days. 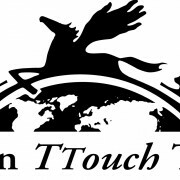 Introduction to TTouch including Touches, Bodywork and Groundwork. Will involve inside work and outside exercises. Open to all ages of people and dogs. 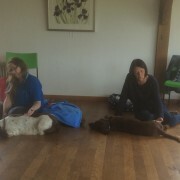 A relaxing day learning about how to calm and positively influence your dog. Suitable for all dogs, except those with dog on dog aggression, but please contact me to discuss. Please bring lunch, coffee and biscuits will be provided. Places limited to 5 dogs, so please contact me if interested. £60 (saturdays) or £50 (Sundays) per person with one dog. 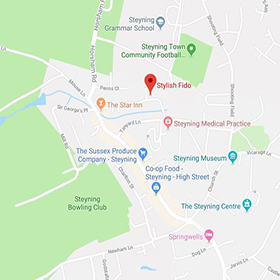 I will be holding two more workshops in Steyning. £50 per person with one dog. “The thundershirt has arrived and he has had it on for a short time to get used to it. Tried the ear touches before flyball and were a great help. ” (I particularly enjoyed)… Groundwork and interrupting my dog’s barking with Touches. I will be holding an Introduction to Tellington TTouch on Saturday 21st May 2016. £50 per person with maximum of one dog per paying person. Spectators £40 welcome. Price includes tea, coffee, biscuits, please bring your own lunch. Places very limited due to small class size, please book now, a deposit will be required to hold your place.